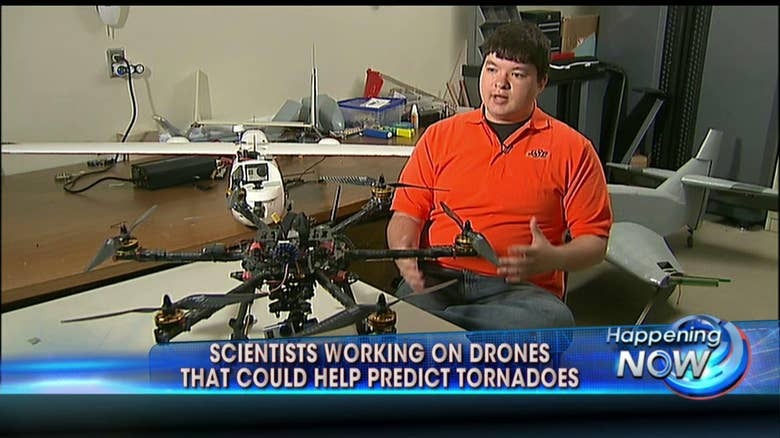 Scientists in Oklahoma are designing drones that could be used to predict tornadoes. Loaded with high-tech gear, these drones could potentially save lives by improving warning times. The drones are outfitted with equipment to gather information such as air pressure, wind speed and dew points. OSU student Fred Keating said in the next year and a half, the idea is to have drones in the sky collecting data in Oklahoma that can be sent to meteorologists.